Abstract: This volume examines ongoing challenges and policy strategies in ten countries, namely Australia, Austria, Belgium, Canada, Germany, Italy, Spain, Switzerland, United Kingdom, and the United States. 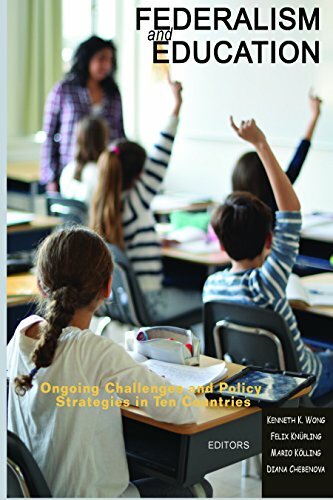 These chapters and the introductory overview aim to examine how countries with federal systems of government design, govern, finance, and assure quality in their educational systems spanning from early childhood to secondary school graduation. Particular attention is given to functional division between governmental layers of the federal system as well as mechanisms of intergovernmental cooperation both vertically and horizontally. The chapters aim to draw out comparative lessons and experiences in an area of great importance to not only federal countries but also countries that are emerging toward a federal system.